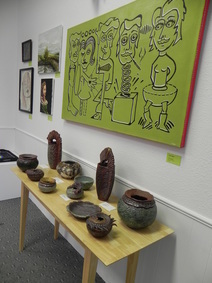 Bismarck Downtown Artist Cooperative is an art gallery and working studio space operated by and for local artists. BDAC gives artists at various stages of their careers exhibition space as well as opportunities to show artwork in special themed exhibits. 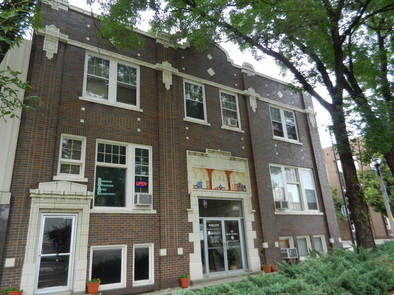 at 222 North 4th Street, Suite 202 in the Historic Tribune Building. This central location allows BDAC to create an interactive space that brings the community together. We are excited to be part of the emerging energy of downtown Bismarck. Our mission is to bring local artists together who share a similar vision in helping the public gain curiosity and interest in the local art scene, as well as exhibiting and marketing a broad palette of art mediums, styles, and ideas. In 2011, six artists came together to organize a gallery and working studio space for local artists. They envisioned a space that would give area artists and makers a space to permanently show their creations as well as form connections in our community. BDAC has grown since ever since it's opening in December of 2011. Currently there are 10 full gallery members and 65 supporting members.